Every business needs to market their business in order to reach potential customers. There is absolutely nothing wrong with paying for ads but if I can reach potential customers without paying for ads, well then, SCORE! This is a long post so grab a cuppa tea or coffee. 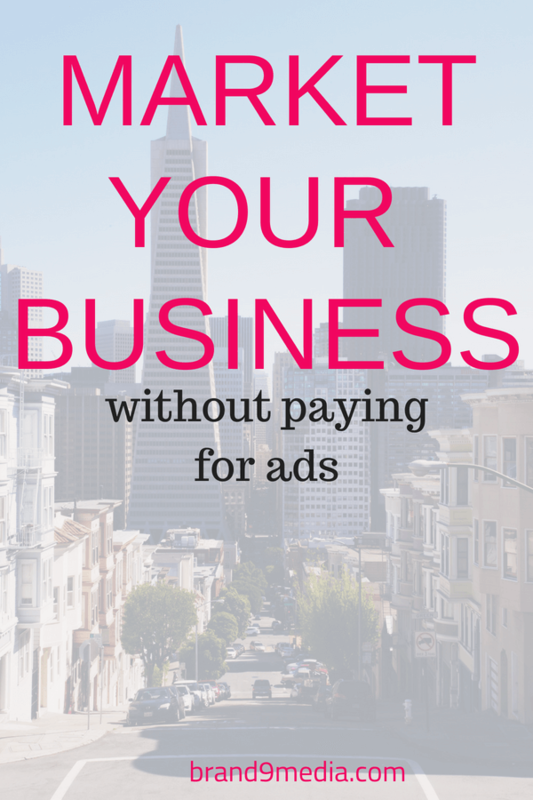 Read on for over ten ways to market your business without paying for ads. 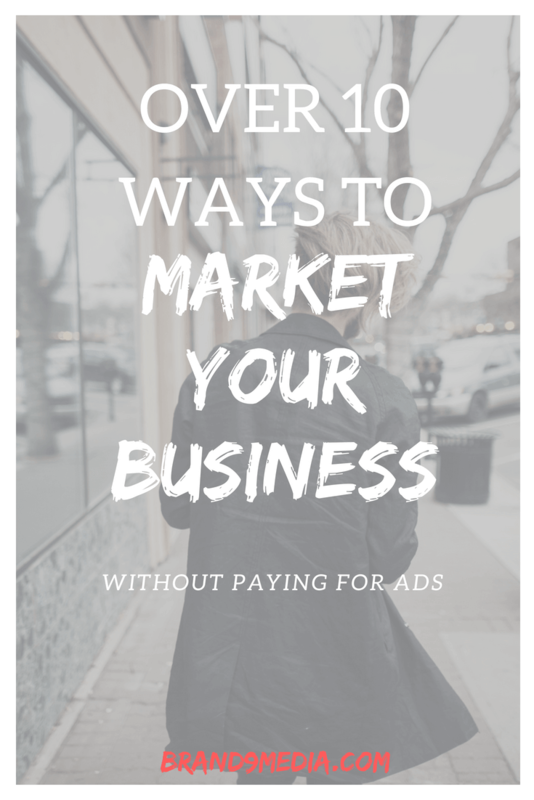 HERE IS A LIST OF OVER TEN WAYS TO MARKET YOUR BUSINESS WITHOUT PAYING FOR ADS. Feel free to PIN THIS POST and read later! 1. Make sure that your website or blog is optimized. Use Google Analytics to track how well your marketing efforts are performing. 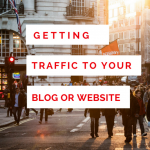 You need to know your website stats in order to know if you are getting better traffic. Optimize your content, your website description and use keywords that explain your business or service. Sites such as LSI Keywords can help you find keywords. You can also read our blog post on SEO Tips for Bloggers here. 2. Add share buttons to all blog posts and articles on your website. (although this one is more of a passive marketing action, you have to make it really easy for your readers to share your posts. If they have to go through a million and one steps to let their followers know about you, guess what, you’ve lost them. If you are using WordPress for your blog, plugins such as Social Warfare (free plugin but there is also a premium version available) allows you to add share buttons before and after your posts and on your blog pages. Just install the free Social Warfare through the Plugins>Add New in your WordPress dashboard. 4. Create webinars on your niche or do a Facebook Live video. You can also co-host with another blogger or business owner that is in a complementary niche or business to yours. This is a great way to get your business in front of a new audience. 5. Create freebies aimed at your ideal customers that would be of help to them or make one of their mundane tasks more bearable, such as printable checklists and ebooks. 6. Test your website on all of your devices (cell phone, laptop, tablet) to make sure that it is mobile friendly and loading quickly. Slow loading website will cause your potential customers or readers to lose patience and abandon your website. Google and other search engines prioritize mobile-friendly websites! Studies have shown that more and more people are using their mobile devices to browse content. Having a mobile-friendly allows your reader to view your website as if they are looking at their desktop monitor or laptop. You can test your website’s loading speed on Google PageSpeed Insights or on Pingdom. 8. Keep your website and content updated. I know this seems obvious but you would be surprised the number of websites I go to and their information is from 2010. 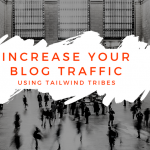 If you have a blog post or article that you wrote even 2 years ago, a lot of that info may have changed especially if you have statistics listed. Take the time to redo your articles, it will keep you relevant to your audience. 9. Follow up with clients. Ask for referrals and post it on your website for social proof. People love reviews from others before buying or signing up. 10. 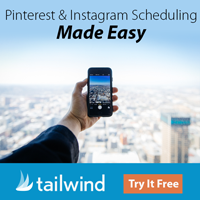 Pinterest is becoming a powerhouse for sharing visual content online. Share other people’s content when posting your own content. 11. Leave your business cards everywhere possible. This is good to reach local customers or clients. Make your business cards eye-catching, so you can attract attention. Get them professionally designed if possible. 12. Run contests, challenges or giveaways to build engagement and is a very popular way to market your business without paying for ads. 13. Open a pop-up shop in front of a store or in a plaza, if you can get permission. This works really well for product-based businesses because of impulse buys. You can also sign up for local green markets, school fairs or fundraisers. 14. Register your business with Google and Bing. Studies have found that more and more people are using their mobile device for viewing websites and using social media. Responsive, mobile-friendly websites will display the best on mobile devices. If your site isn’t mobile friendly, then your website will not display very well. Your navigation menu may be cut off, only half of your website shows, and buttons may not even be clickable without having to an acrobatic sequence with a phone. 15. Comment, Like and/or Subscribe to other blogs, videos or websites. Again, be genuine in your engagement and leave a quality comment. Just saying “great blog post” is not enough. List the reason why you like the blog post and if you have tried any of the bloggers’ suggestions. 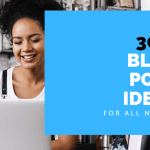 This is a great way to network with other bloggers and build trust. If someone leaves a comment on your article or blog post – respond and pay it forward. If they leave a link to their website, go there and leave a comment. Be genuine when you return the favor. 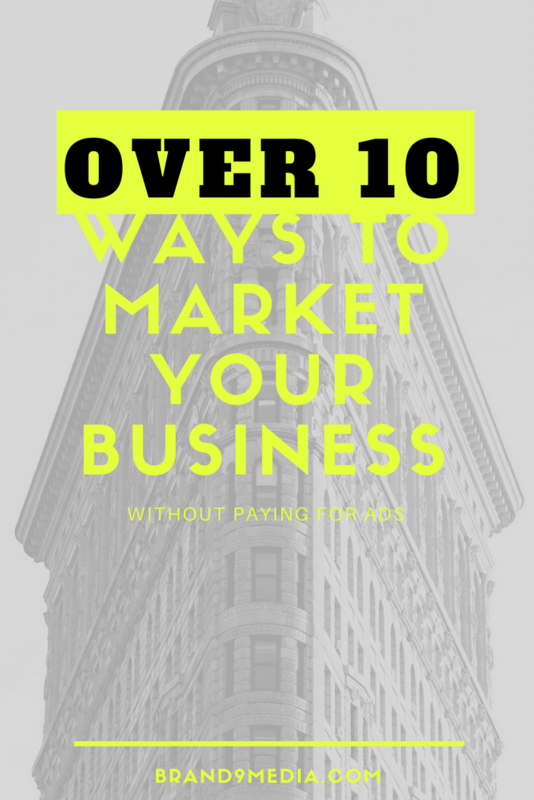 I hope you have enjoyed this list of Over Ten ways to market your business without paying for ads. 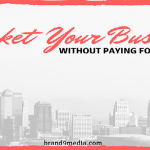 I have listed 2 more ways to market your business without paying for ads. 16. Partner or collaborate with other bloggers by guest blogging. This is another effective way to get in front of another audience. Find bloggers with complementary content as your own and reach out. Bloggers can be very welcoming and willing to help out others. Ask politely without being pushy and don’t take responses personally. If a blogger says no, they may have a bit too much on their plate at the moment. Just keep asking other bloggers until you receive that YES! 17. Create an affiliate program for your product or service. Help other bloggers earn an income by marketing your goods and services for you. Please comment below if used any of these tips and how it worked out for you! 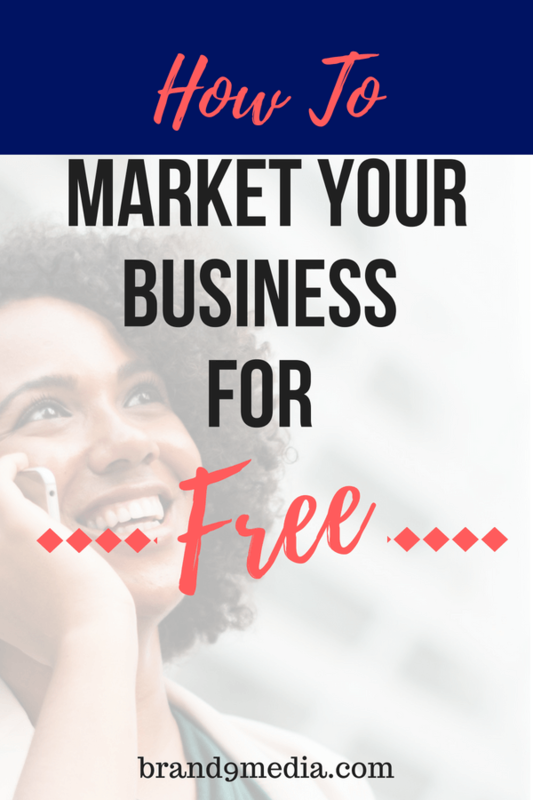 Feel free to share this article with a friend that would like to know how to market your business without paying for ads. SAVE PIN TO READ LATER!